Despite what you may have heard, San Francisco was THE birthplace of the craft beer movement. Not Portland. Not Seattle. However, despite the fact that there are over 250 breweries in Northern California and over 900 in the entire state, we went a really, really long time with only a handful of places that’d serve up beer directly from the source. Now, thanks to the craft beer boom from a few years ago, breweries in the city are thriving more than ever. 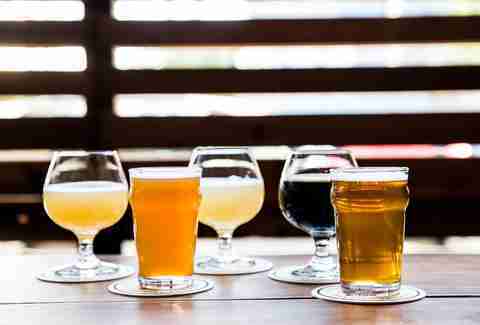 In fact, there are over 30 breweries in SF proper that belong to the San Francisco Brewers Guild, and of those members, these are our 12 favorites. Cheers! 21st Amendment moved most of its beer production to a sprawling brewery in San Leandro, but the brewers at the SF location still produce a couple of new small batch one-off releases every week, which means it qualifies for this list. 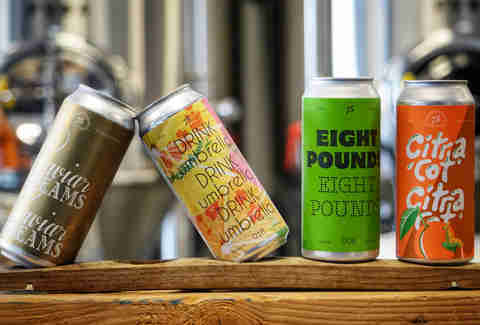 The brewery -- named after the amendment that ended prohibition -- has a couple of year-round beers (the Brew Free or Die IPA is probably the most popular), but is also known for its seasonal beers, specifically Hell or High Watermelon wheat beer. And though that’s a great summertime beer, the Watermelon Funk sour ale is the one to grab if it’s available. Sapporo may have recently bought this historic brewery responsible for the first craft beer in America, but it still is -- and always will be -- a favorite staple of the San Francisco beer scene. The brewery offers public tours and tastings, but if you want to just drink your beer without 45-minutes of walking and learning beforehand, head to Public Taps (across the street from the brewery) where you can get beers exclusively brewed for the space. 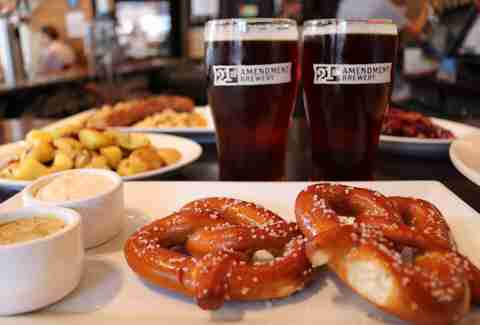 Definitely try some of those, but don’t shy away from ordering the classic Anchor Steam Beer as well. And yes, we know you can get it at pretty much any grocery store in the Bay Area, but it 100% tastes different -- and better -- fresh from the tap. This small batch brewery is the destination for burgers, beer, and brewing equipment. Black Sands was designed and constructed by home brewers who want people to be able to see every part of the beer making process. The set up is pretty tiny, which means the beer selection is constantly rotating, but if you find one you love, they have all of the equipment you need to make it and will happily hand over the exact recipe. Beyond learning about beer, the key to a successful Black Sands visit is ordering the smash double cheeseburger and whichever SMASH (Single Malt and Single Hop) beer is available. Cellarmaker is quite possibly SF’s most popular brewery and it’s not because they make an awesome flagship beer. In fact, it’s the exact opposite. The owners/brewers at Cellarmaker say they’d be bored making the same couple of beers all of the time, so instead they’re constantly producing small batches of experimental beers. There are 12 beers on tap in the cozy tasting room, and although you can’t count on drinking whatever it is you loved the last time you were in, you can count on three to four of the taps pouring some of the best hoppy IPAs you’ll ever drink. 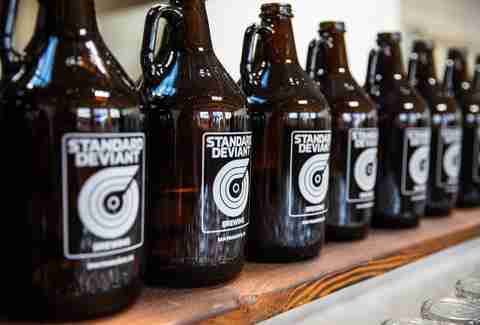 Pro-tip: Bring your growler if you want to take some home. 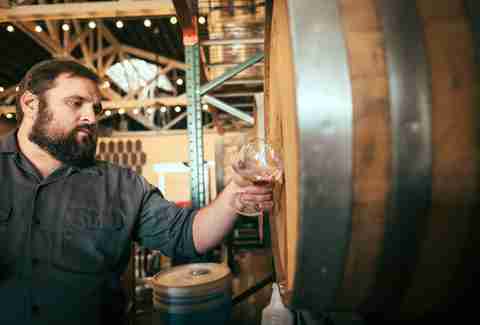 Fort Point came onto the SF beer scene in 2014 and found instant popularity. In fact, it’s so popular that production has literally doubled every year since it opened. The secret to its popularity is in its approachability. It’s kind of like that kid in high school who is genuinely nice to everyone -- thoughtful, balanced, and easy to be around. The Brewery is in an historic Crissy Field building that was once used as an Army motor pool, but due to its lease term isn’t allowed to serve the public. Luckily, it’s on the shelves of every corner store and the menus of SF’s best restaurants, as well as at its taproom in the Ferry Building where fresh beer is delivered daily. All of the beers are simple and easy-to-drink, but if you’re choosing one, Villager, the flagship IPA, is the way to go. Note: Fort Point is also opening a brewpub in the Mission this fall. Thirsty Bear is San Francisco’s first and only certified organic brewery, so if you want to drink organic beer that was brewed in SF (and eat Spanish tapas), this is the place to go. The brewmaster uses a “singular German-influenced West Coast style of brewing” (he studied Brewing Technology in Munich) and emphasizes pilsners, IPAs, stouts, Belgian-inspired ales, cask-conditioned ales, session beers, and barrel aged beers. 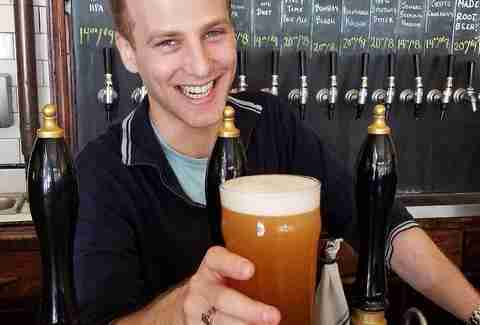 So, basically, if you can’t find something you like on the list, it might mean you simply don’t actually like beer. If you’re not sure what you want, get the sampler -- all nine beers on draft for $15 -- or just live your best life and get one of the cask-conditioned options. 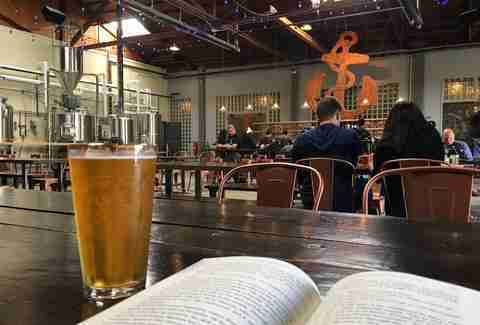 This large industrial-style brewery is popular because of its California meets Belgian-style beer, but also because there’s almost always something fun going on there, like live music, trivia, karaoke, food trucks, and yoga, and beer. There are 16 rotating taps in the 1,000-sqft tasting room, and if the Mango Gose (brewed with lime, pink Himalayan sea salt, and fresh mango) is available, definitely get that one. 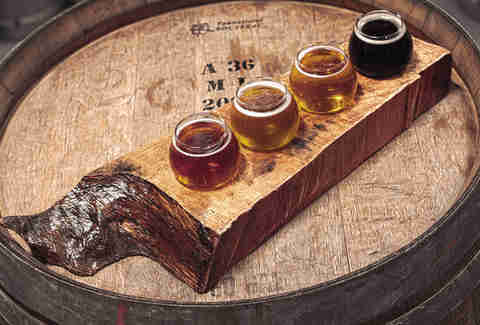 Brewmaster Dave McLean started brewing balanced, sessionable beers in a seven-barrel brewery in the basement of the Haight Street brewpub in 1997. Today, Magnolia brews dozens of beers that run the gamut of flavors and styles, so you can always find whatever you’re craving. McLean is no longer a part of Magnolia, but the beer remains as interesting and innovative as ever. 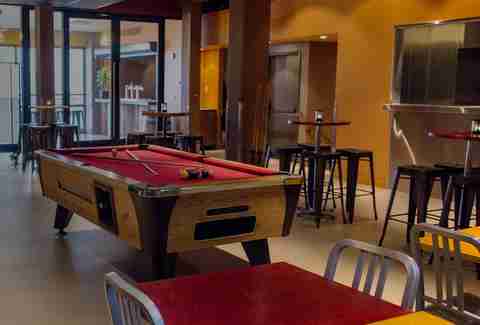 As of summer 2018, the new owners closed the bar (and restaurant attached to the massive Dogpatch brewery) to do a remodel that includes adding an indoor beer garden, but you can still head to the pub where there are usually a couple of cask ales on the menu. Triple Voodoo is known for taking the best aspects of California and Belgian brewing styles to build unique creations, and though it flies a little more under-the-radar than most SF breweries, it’s not one to be overlooked. The 13 taps rotate, but you’ll always be able to get the two crowd favorites: Anxiety Pils, a German/Czech pilsner, and their first beer ever, Inception, a Belgian Golden strong that’s hoppier than most Belgian ales in a very good way. 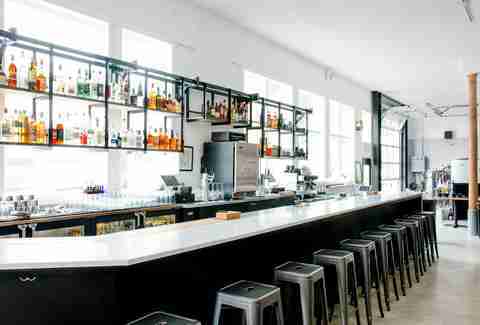 Seven Stills (a play on the seven hills of SF) makes craft beer and craft whiskey distilled from craft beer at its Bayview location, which means it is automatically one of our favorites in the city. The thing to do is taste a beer AND the whiskey made from that beer side-by-side. As far as the beer on its own goes, Seven Stills rarely makes the same beer twice, which means the line-up is constantly changing. If you don’t want to go “all the way” to Bayview, you can also get them on draft at the Outer Sunset taproom and the Nob Hill whiskey bar. “You don’t know what you’ve got ‘til it’s gone” was never more true than when Speakeasy suddenly shut down in 2017. 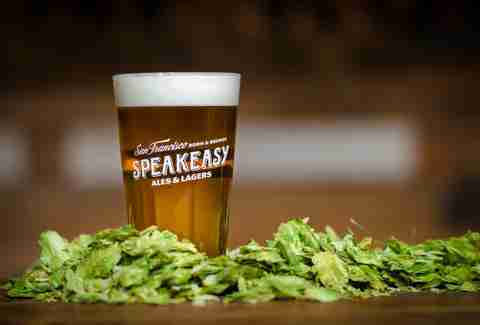 Maybe most San Franciscans hadn’t had a Big Daddy IPA or Prohibition Ale in years, but to not have the option to drink Speakeasy’s bold, complex beers was too much to handle. Luckily, it was brought back to life a few months later, and we’ll never take it for granted again. 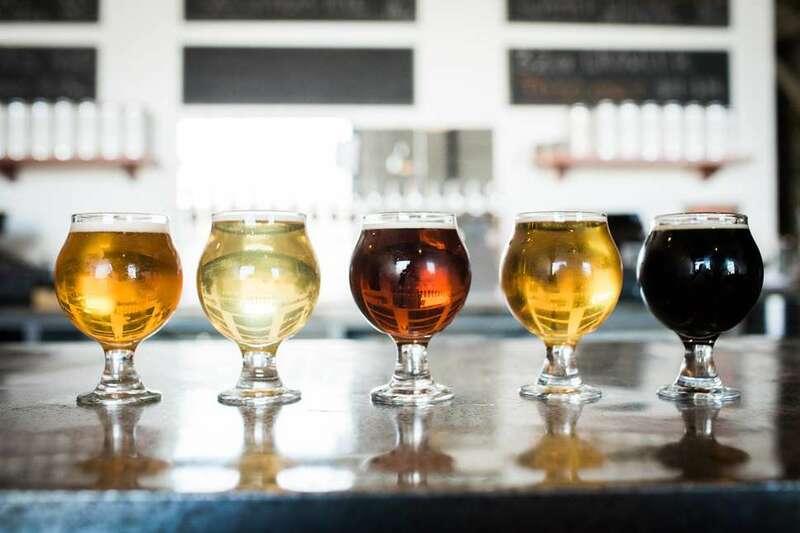 The prohibition era-themed taproom has 17 beers on draft, including the aforementioned two usual suspects, but the move is to get one of the exclusives. This 10-barrel brewhouse is owned by three friends who went to college together and wanted to make beers they liked to drink … aka “standard” classics, some of which have an experimental (“deviant”) twist. There are 13 beers on tap in the industrial space that used to be an auto body shop. Order the kolsch (all of the beers are named by style) and then grab a seat at one of the picnic tables or hit up the shuffleboard and arcade games. 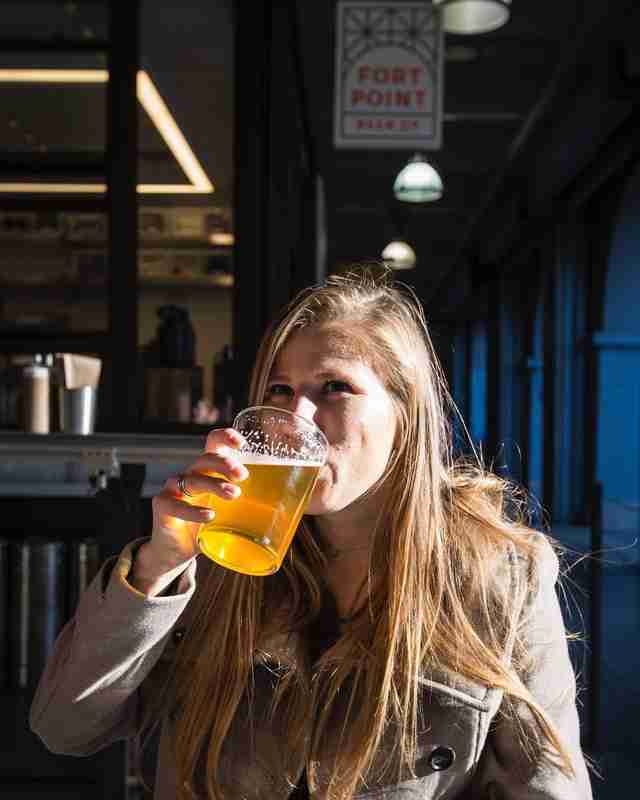 Daisy Barringer is an SF-based writer who will always order a sour beer if it’s available. See what else she eats and drinks on Instagram @daisysf.